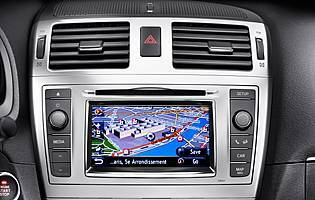 The Avensis saw one significant change and several minor ones for 2012. The styling was sharpened up and the chassis was strengthened to try to improve the driving dynamics, but the chief difference is a much more efficient diesel engine that will appeal to business users and families alike. The latter might be more likely to buy the Tourer estate version. Key to the revised Avensis is an improved version of the 2.0-litre D-4D diesel engine, which in previous generations has taken up about two thirds of the model's overall sales. 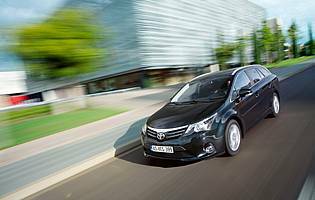 Company cars make up a big proportion of the Avensis' sales, but private buyers will also feel the benefits of a road tax charge that has fallen considerably alongside improved fuel economy. A smaller, more efficient turbocharger combines with faster warm-up from cold starts, more effective lubrication and several other minor alterations to make the Avensis a much more efficient package overall and it's quieter than before. The engine is less powerful than some other mid-range diesels, as shown by its performance figures, but this fits with the car's understated character. The car's seats are well suited to long-distance cruising. They are long under the thigh and carefully shaped at the back, with just the right firmness of padding. They are generously sized and the vast majority of people will never feel cramped. Rear seat comfort is impressive too, with ample legroom and shoulder room. It isn't wide enough to allow three adults to sit comfortably in the back, but two should be more than happy. 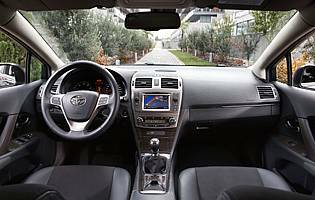 Despite claims of many improvements to the chassis and driving dynamics, this Avensis remains a conservative driving experience. Where this car really shines is in the standard equipment that it offers. A huge list of impressive luxury kit is standard even on mid-range models, including touch-screen satellite navigation, adding an increased sense of value for buyers. 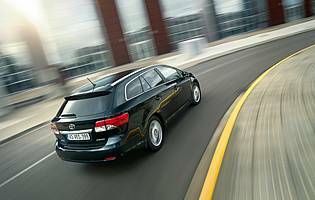 While this generation of Avensis Tourer has witnessed a relatively minor evolution from the last, the financial implications of the modifications are larger. Combined with slightly improved and very pleasant interior quality, a quiet cruising ability and a thoroughly impressive equipment list, it's often quite easy to overlook the lacklustre engine and uninspiring drive. If performance is not so important as practicality and refinement, it represents first-rate value for money.